I haven’t had a good hearty salad for dinner in quite a while. 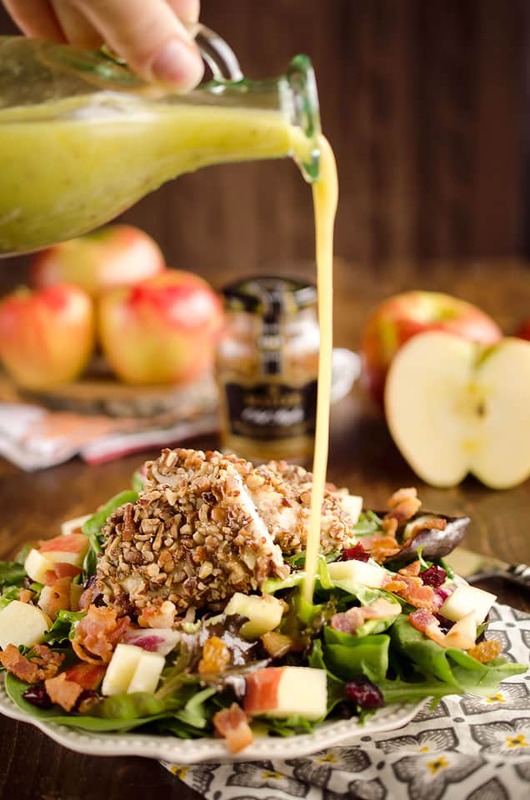 It was long overdue and fall is a great time to enjoy a salad with the delicious Honey Crisp apples in season. 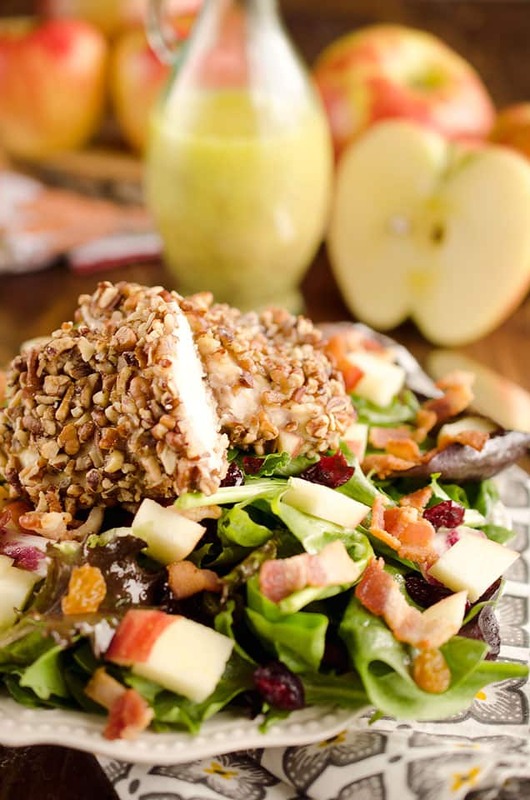 Apples are the perfect crunch for a salad and the sweet flavor of the Honey Crisp is an added bonus. 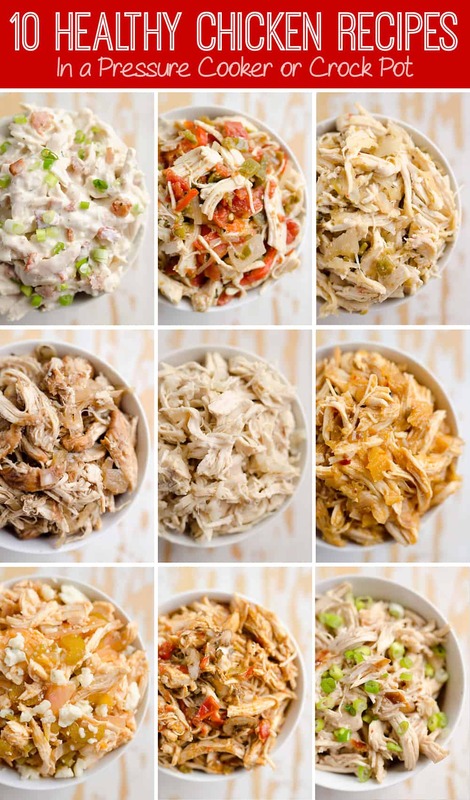 If you want a quick and easy salad, you could toss rotisserie chicken and pecans with the lettuce. Personally, I wanted to get a nice toast on the pecans all while cooking the chicken. 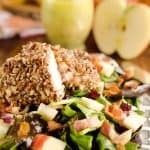 Pecan crusted chicken was the answer and it makes for an elevated salad perfect for serving dinner guests. 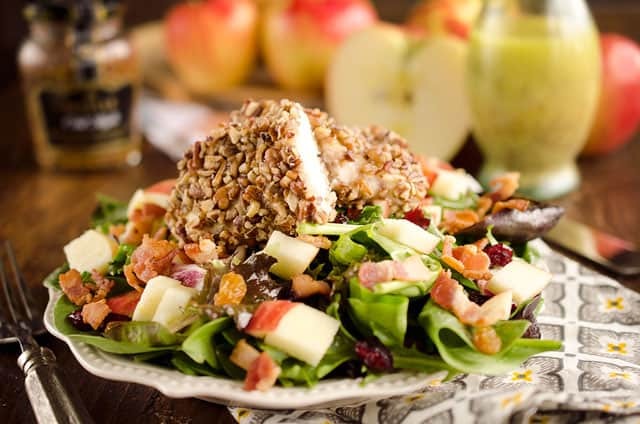 With each bite, you get crunchy apples, chewy raisins and cranberries, crisp bacon loaded with flavor and tender chicken breast coated with toasted pecans, all tossed with a homemade Light Honey Dijon Vinaigrette. 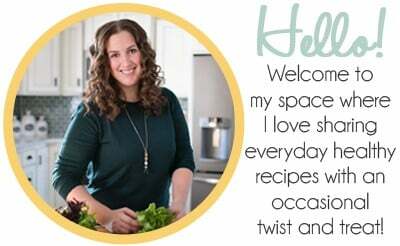 What more can you ask for when you are looking for the perfect healthy fall dinner?! Add the flour, eggs and pecans to three separate bowls. After patting the chicken breasts dry, dip each one into the flour, then eggs, then pecans. Place the coated chicken breasts on a lined baking sheet and bake at 375° for 20 minutes or until the chicken is cooked through. 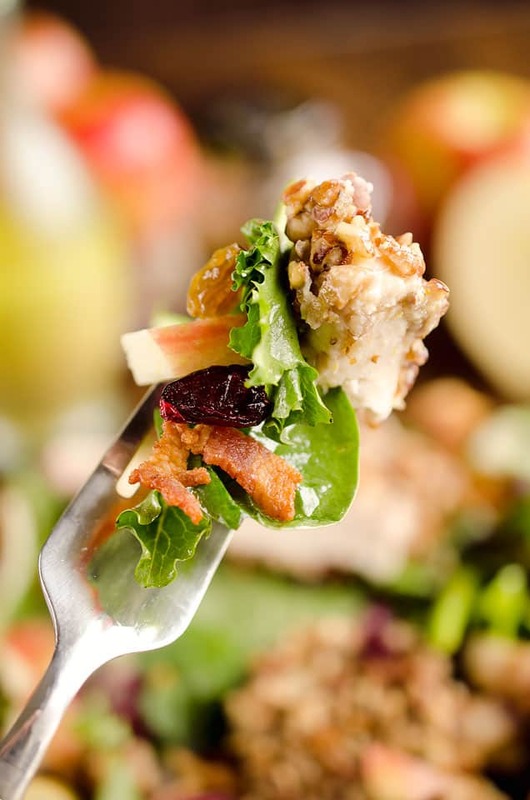 Meanwhile, toss the lettuce with the vinaigrette, apples, cranberries, raisins and bacon. 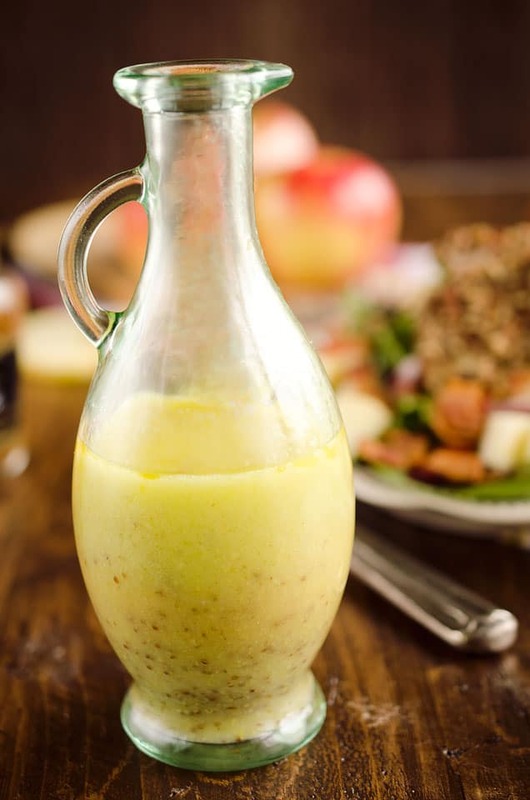 Top with the cooked chicken breasts and serve immediately.